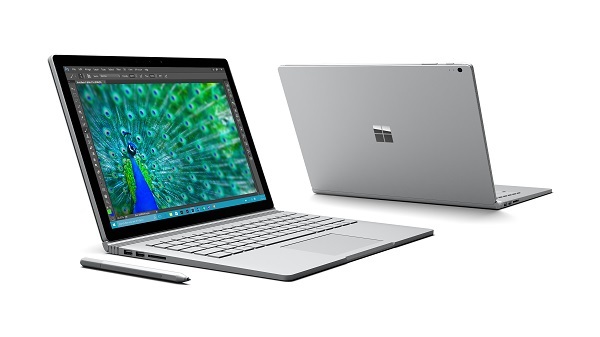 Microsoft launches Surface Book and Surface Pro 4. Microsoft on Tuesday unveiled new Surface Book and Surface Pro 4 devices at the Windows 10 Devices event held in New York. The new Windows 10 devices comes with fast and secured login with Windows Hello; new Cortana experiences that turn Windows 10 devices into a personal assistant; improved touch and pen experiences on Surface. Surface Book is a powerful, high-performance laptop with stunning craftsmanship and incredibly accurate and responsive pen and touch support. The 13.5-inch optically bonded PixelSense Display delivers a high-contrast 267 dpi display with improved latency and parallax, making it not just beautiful to look at but natural and fluid to write on. The screen also detaches, so it can be used like a clipboard to sketch, take notes and benefit from Windows programs like Microsoft Edge. An optional discrete GPU allows Surface Book to harness the full power of hardware-accelerated graphics for seamless video editing, fast rendering or immersive gaming. Ultrathin, Surface Book combines the impressive power of 6th Generation Intel Core i5 and Core i7 processors with up to 12 hours of battery life. Microsoft also introduced Surface Pro 4, the thinnest, lightest and most powerful tablet that can replace your laptop. At only 8.4 mm thin, it features a stunning 12.3-inch PixelSense Display and 6th Generation Intel Core m, Core i5, and Core i7 processors, enabling everyone from students to professionals to get more done on the go. Surface Pro 4 is not only 30 percent more powerful than Surface Pro 3 but also quieter, runs cooler, and is even more efficient with up to nine hours of battery life. 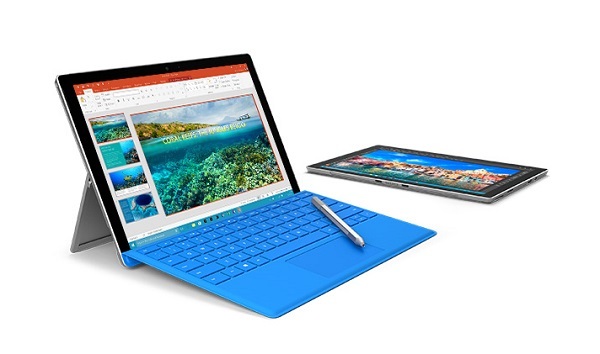 The new Surface Pro 4 Type Cover takes Surface Pro 4 from tablet to laptop in an instant and features a redesigned mechanical keyboard with optimal key spacing for fast and fluid typing. Backwards compatible with Surface Pro 3, the new Surface Pro 4 Type Cover comes with an optional fingerprint reader, bringing the convenience and enterprise-grade security of Windows Hello to existing customers. The redesigned Surface Pen packs 1,024 levels of pressure sensitivity, letting you write, draw and mark documents with precision ink on one end and an eraser on the other. Surface Pro 4 starts at $899 and Surface Book starts at $1,499. Surface Book, Surface Pro 4 and new accessories are available for preorder in select markets Oct. 7, then for purchase in Canada and the United States on Oct. 26, with additional markets to follow.